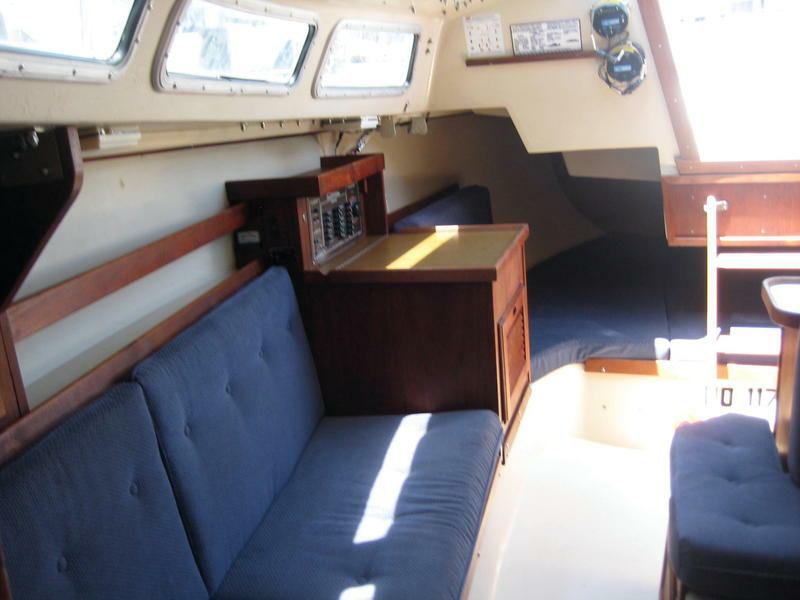 This is an easy handling boat lots of room for friends and family. 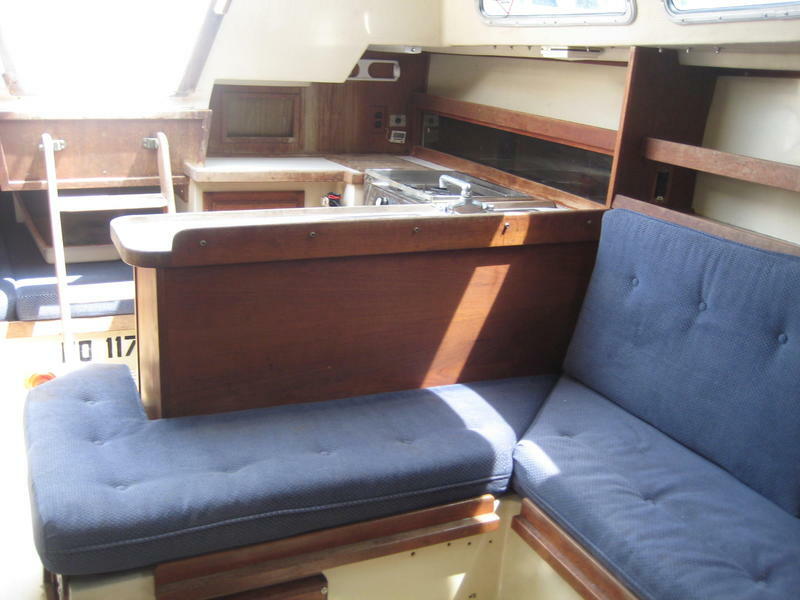 Both fore and aft double berths, as well as 2 convertible single berths in the salon. 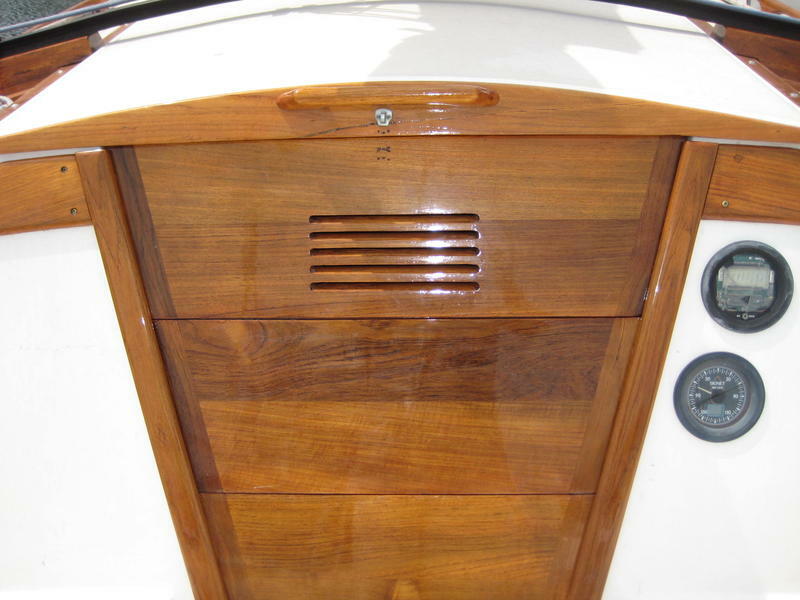 Head compartment with shower, sink, and hand-pump toilet w/holding tank. 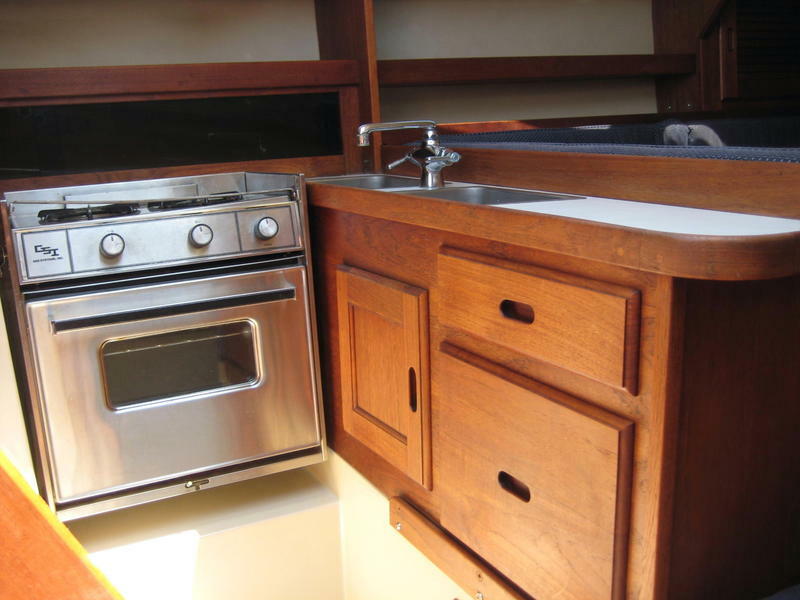 Galley has 2-burner propane stove, gimbaled oven, refrigerator and double stainless steel sink. 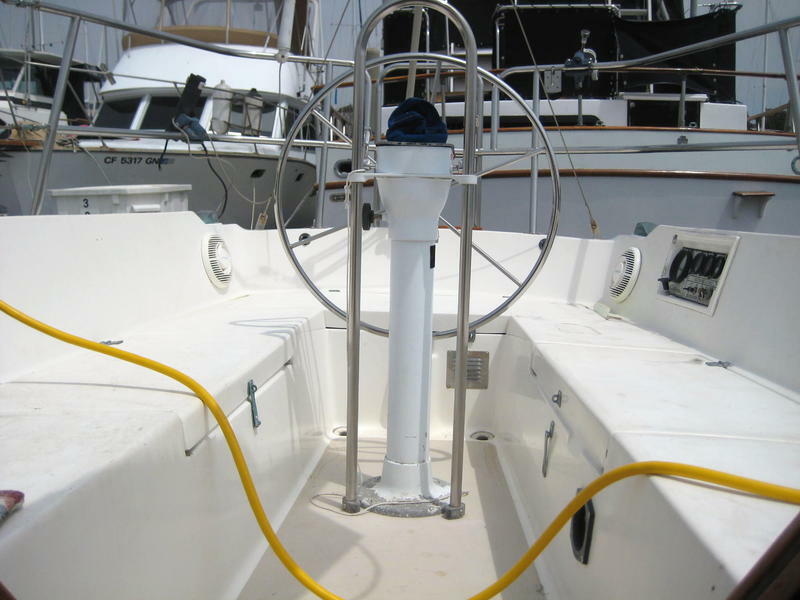 Shore power, knot and depth meter. 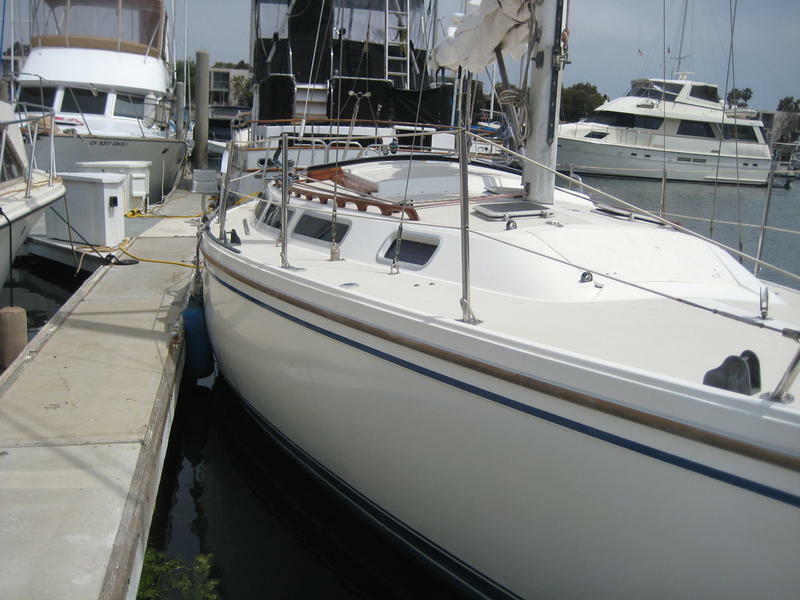 This is a very versatile cruiser with wheel steering, a good sail plan and unmatched interior space for her size. 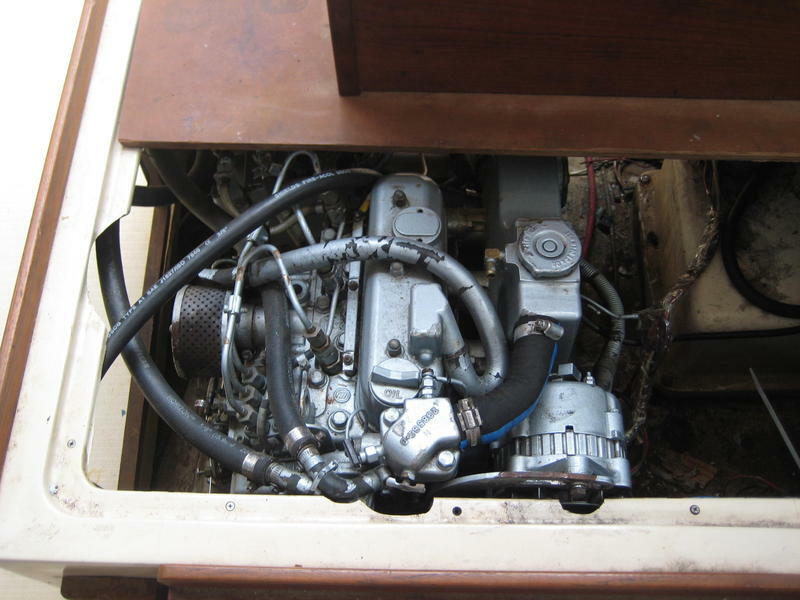 Please e-mail for more info and photos.